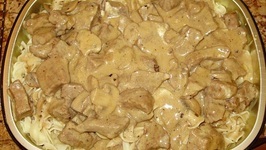 Beef Stroganoff is one of those recipes... with a lot of different variations. 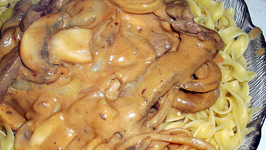 Mostly because the original written Russian recipe is not the greatest and cooks through ..
Come home to this yummy delight with minimal effort. 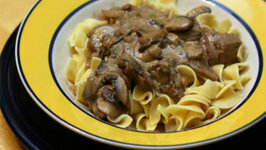 Looking for a quick weeknight meal? This is your answer. 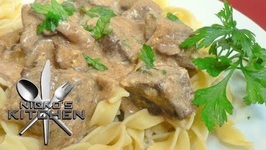 Beef Stroganoff is a classic hearty dish. 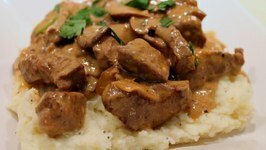 Thin strips of lean Beef are seasoned and combined with Tomato Paste, Onions, Mushrooms and Beef Stock to create a deliciously .. 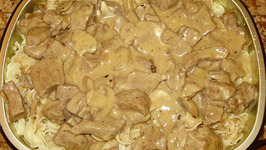 This is a Russian beef dish where the meat is tender and succulent. 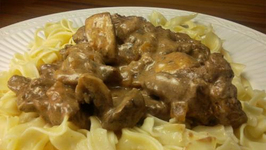 It is an all time dinner favourite and can easily be made at home.